Here is a report on 10 Wines in the Ten Dollar range we tasted recently. The availability of good wines at this price point continues to grow. While the market for expensive wines is going out the roof, virtually every wine store also has a good selection in the $7 to $12 range. My favorites of this group were a Chenin Blanc, Mulderbosch 2006 Stellenbosch, Africa and a Pinot Noir, Cully 2006 Marlborough Valley, New Zealand. T'day is right around the corner. Here are some suggestions on wine to serve on this special day. 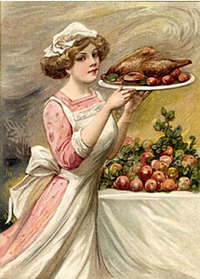 But before you read on please promise that you will take a moment this year with your family and friends to share sincere expressions of gratitude for all that we have to be thankful for. 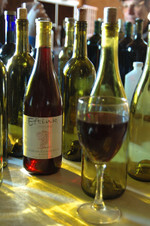 You can always count on tasting great wine at Gary's Wine Marketplace in Madison, NJ. 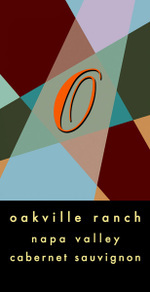 I made a special trip tonight to see Paula Kornell of Oakville Ranch Vineyards and taste their wines. Oakville Ranch is a wonderful property in Napa owned by Mary Miner who with wine maker Ashley Heisey turns out amazing wines by letting mother nature do her thing. Paula, with her southern charm, is General Manager and the voice and Ambassador of this fine winery.